Yuva Samrat Akkineni Naga Chaitanya has teamed up with Comedy Hero Sunil for a new film which will be a remake of the Tamil hit ‘Vettai’. Bellamkonda Suresh is producing this movie and Dolly is the director. The movie ‘Vettai’ was originally slated for a release in Andhra Pradesh as a dubbed film with the title ‘Bhale Thammudu’, but Bellamkonda Suresh has now roped in these two heroes for this project. 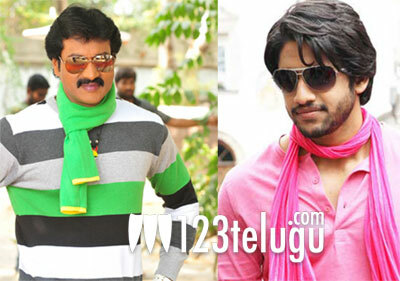 Sunil will be seen as a very introverted cop while Naga Chaitanya will be seen as his aggressive younger brother. Two leading heroines have been approached to play the lead roles opposite these two heroes and an official announcement is expected soon. The movie will begin shooting from the 26th of June. This sure is one interesting project that is about to unfold folks.